Security solutions tend to run in the background of PCs, meaning users rarely aware that they are working. Consumers have to trust that their solutions are keep their data safe. However, sometimes it is nice to get affirmation. For those who are PC Matic customers, the software offers the ability to receive an email explaining what PC maintenance, updates, and viruses were removed after each scan. Click on the PC you would like to receive emails for. Then click on the hyperlink next to “Next Test”. If you would like to receive emails for all of the devices under your license key – you’ll need to select “Master Scheduler”, then click “Master Scheduler” again. Click on “Schedule New Event”. Now would be a good time to review what is being scanned and maintained. Once you’ve reviewed your scan options, scroll down. You will need to put a check mark into the “Email Results?” box. Also, be sure the email listed is accurate. Click save, and you will be all set. Once your next scan is completed, an email will be sent to the email address listed in “Send Results to:”. If you run into any issues, please reach out to our support team at www.pcmatic.com/help. PC Matic Blog pc matic, scan email, Scans. permalink. I want to know if you are a PC Cleaner or a virus protector? I would have to delete my Avast before I downloaded PCMatic wouldn’t I? PC Matic is a security solution, that also includes PC optimization and maintenance tools. Yes, you would need to remove Avast; however, PC Matic offers the ability to remove it for you at the time of installing PC Matic. All you would need to do is leave the check in the box for “remove conflicting programs” during the installation process. I have another computer I need pc Matic on. I only have it on one of my computers. I understand that I can use PC Matic on 5 computers. How do I download on my second computer? Jessie, you can install on another computer by going to http://www.pcmatic.com and clicking the free download button on that computer. Then after downloading, install the software and once installed click “Login” in the lower left corner of PC Matic. Login with your account used for purchase and you’re off and running! Does PC Matic scan incoming email, I use thunderbird? It does not. However, if for instance you’re running PC Matic and click on a phishing email and try and download a malicious attachment, PC Matic’s whitelist would block it. I have just paid for a year with PCMatic, but I don’t see what I am to do next. HELP Also the pass word that I just set up is telling me it is wrong. I just wrote it down and used it. You should have received an email from us with download instructions. Please be sure to check your inbox, junk, and spam folders. 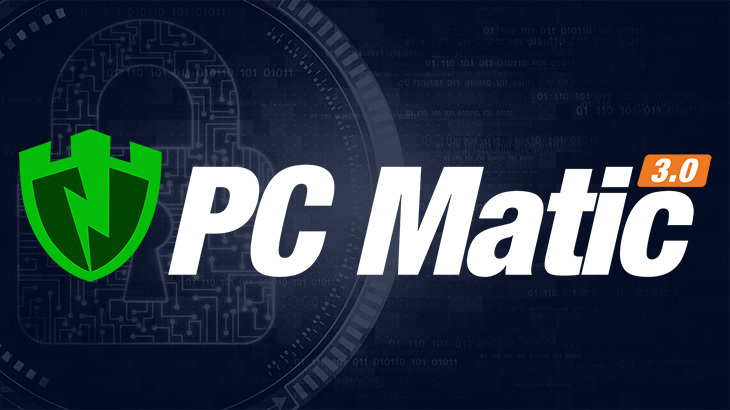 For download and password assistance, please reach out to our support team at http://www.pcmatic.com/help. Our technicians are available seven days a week.